Medicare Benefits for Nurse Practitioners by Helms Consulting Services is licensed under a Creative Commons Attribution-NonCommercial-ShareAlike 4.0 International License. I still get a lot of questions regarding how the MBS works. 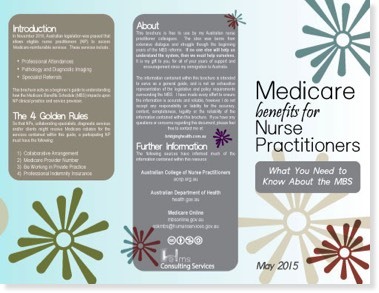 This is in part due to the fact the Australian government never promised to facilitate the business of Nurse Practitioners - which is why you don’t see resources out there like this.